I'm planning to go to Rome and get to know the city by bike. Looking for different alternatives I've found the "ATAC bikesharing" service here with many points where bikes can be picked up and left. Unfortunately all the links seems to be down and last posts are from 2010. Some sites says the city bike sharing service is down but refers to it seems to be another service. 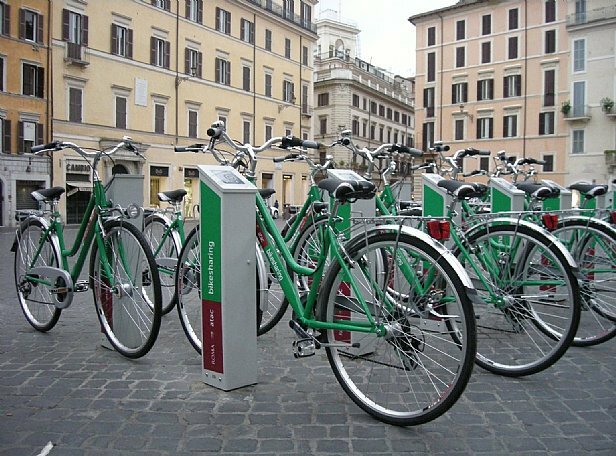 Is there any bike sharing service active in Rome or are there any alternatives? which literally means "service not operational" and in practice means much worse, don't ever expect that service to function again. Also I am not aware of any other service, certainly there is nothing similar to Velib in Paris. You could try a regular bike rental. Google gives plenty of results for that. Not the answer you're looking for? Browse other questions tagged italy rental bicycles rome or ask your own question. Is there an “on demand” bike hire scheme in Oxford?